Mukkoti Ekadasi, dedicated to Bhagvan Srihari Vishnu, is popularly known as Vaikunta Ekadashi in South India. In 2020, the date of Mukkoti Ekadasi is January 6. Mukkoti Ekadashi is celebrated during Dhanur Masam on the day of either Pushya or Margasira Suddha Ekadasi (December – January) as per Telugu Calendar and is a major event in Bhadrachalam Temple in Telangana. The famous Teppotsavam ritual takes place at Bhadrachalam during the period. 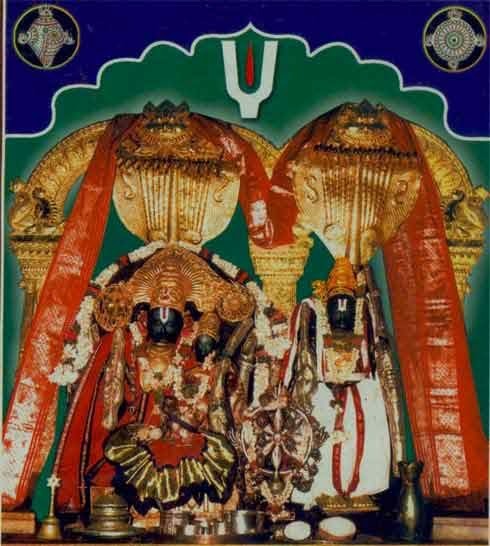 The main event on Mukkoti Ekadasi is the Vaikunta Dwara Darshanam – the ‘Vaikunta Dwaram’ or ‘the gate to the heaven’ is opened on this day in Vishnu Temples in South India. This is the passage encircling the innermost sanctum of the Vishnu Temple. Thousands of devotees queue up to pass through the Gate of Vaikunta on this day. Vishnu devotees also fast on the day and keep vigil all night. They avoid all sort of food made of rice. This Ekadasi is of great importance at the Tirupati Balaji Temple and Srirangam Sri Ranganatha Temple and and is known as Vaikunta Ekadasi. In Kerala, the festival is known as Swargavathil Ekadashi.